At the last New York fashion week i have the chance to meet the lovely and cosmic Ana Lucia Bermudez, Colombian fashion designer who has a clear idea of mix colors and put it nicely together. 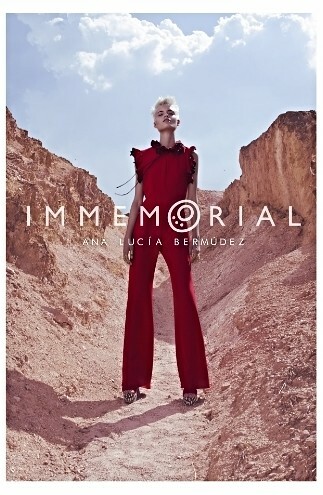 Immemorial is her latest collection inspired in two african tribus called Surma and Mursi, she took their corporal art and transformed into clothes. She is a really powerful colombian girl who has a lot of power to be show at Milan Paris or London fashion week, her style and silhouettes are strong and colorful.